While fancy new insulations and waterproof fabrics often receive most of the attention in the apparel world, a simple and understated down vest can be extremely useful in a variety of outdoor scenarios. The North Face Morph Vest looks like your typical lightweight down vest, but it brings some new tech to the table. Namely, it features what The North Face calls “ThermoBaffle,” which basically means that, instead of using stitches to create a quilted construction, the Moprh Vest’s down chambers are seamlessly woven together. This is supposed to eliminate cold spots, prevent the down from leaking out of the garment, and increase durability. I was eager to see if (1) the ThermoBaffle tech made a noticeable difference, and (2) figure out how versatile the Morph Vest would be. Is it a piece that you’d only bring out a couple times a year, or one that you could use year-round? The North Face says the Morph Vest has a “slim” fit, a designation I disagree with when compared to most other company’s “slim” fit products. The Morph Vest’s fit is closer to what I would consider a “regular” fit garment. The body of the vest is relatively boxy and doesn’t hug my torso the way I that most “slim” fit garments do. That said, I think the size Medium Morph Vest is consistent with other insulating layers I wear in the same size. The vest fits easily over a light fleece, sun hoody, or windshirt, and still fits well under a hardshell without excessive bunching at the shoulders or waist. The Morph Vest is made with a lightweight 20-denier nylon shell with woven baffles to prevent down shift, improve wind resistance, and decrease the cold spots caused by stitch-through quilted construction found on many other lightweight down pieces. I didn’t experience any down loss through the seams, nor have I seen any noticeable shifting of the down insulation. For the insulation, the Morph Vest features 800-fill-power, RDS-certified down. 800 fill power is basically the industry standard for high-quality down, and is known for its excellent warmth-to-weight ratio. The Morph vest features three pockets: two hand pockets and a Napoleon-style chest pocket. Nothing too revolutionary there, but it’s worth noting that the hand pockets seem like they’re sized a little on the big side. I sometimes wished that the pockets were a little bit smaller to allow for faster heating when stuffing my hands inside. The downside of large pockets is that when you put your hands inside, there is more dead air space to heat up before your hands starts warming up. The easy solution to that is of course to not let your hands get cold, but sometimes it’s unavoidable. Although The North Face claims the hand pockets are harness compatible, they rested too low on my torso to be accessible when wearing the vest under a climbing harness or a backpack hipbelt. The chest pocket did stay accessible and is large enough for basic items like a headlamp and small snack. One of the hand pockets has a double-sided zipper to stuff the vest into itself, and it features a sewn loop that you can use to clip the vest to something when it’s packed into its pocket. Unlike some jackets, stuffing the Morph vest is a relatively casual experience. I’ve had other jackets that required advanced technique to stuff the jacket into its own pocket and cram it small enough to actually zip the pocket closed. When packed into its pocket, the vest is loosely compressed and about the size (but thankfully, not the weight) of a medium-sized hardcover book. One feature I did like about the Morph Vest’s pockets was the routing of the drawstring around the waist to the inside of the pocket. This allowed me to cinch the waist tighter without having to fumble around beneath the hem to access the cord. One thing I do wish the Morph Vest had in terms of features is slightly smaller arm holes and / or a thin piece of spandex around the arm hole. When compared to other down vests I’ve worn, the arm holes on the Morph are substantially larger. This provides more range of motion and makes the vest easier to take on and off, but results in a bit more heat loss through the arms. I found that the Morph vest provided a level of warmth on par with other 700-900-fill-power down vests I’ve used. It felt like the Morph vest had about the same amount of insulation as the classic Patagonia Down Sweater Vest, an appropriate comparison given that the Down Sweater Vest also uses 800-fill-power down and a 20-denier shell fabric. While the Morph Vest uses The North Face’s woven “ThermoBaffle” technology, I didn’t notice much of a difference in warmth or cold spots compared to the Down Sweater Vest, which uses traditional stitch-through quilting construction. For the sake of comparison, I found the Morph vest significantly warmer than the Camp ED Atom Vest (which uses 700-fill-power down). An aside on fill-power and warmth: down fill-power numbers are quite confusing and often marketed incorrectly. The fill-power of down does not equate to the overall warmth of a garment. An 800 fill-power jacket can easily (and often is) less warm than a 500 fill-power jacket. For example, a Canada Goose Langford Parka uses 625 fill-power down and is FAR warmer than the Mountain Hardwear Ghost Whisperer jacket, which uses 800 fill-power down. Fill power is a measure of how much volume one ounce of down will occupy, measured in cubic inches per ounce. Higher fill power means a better loft-to-weight ratio — which translates into a better warmth-to-weight ratio. However, the amount of down in the garment is more of a factor in ultimate warmth, but most companies do not provide that info. 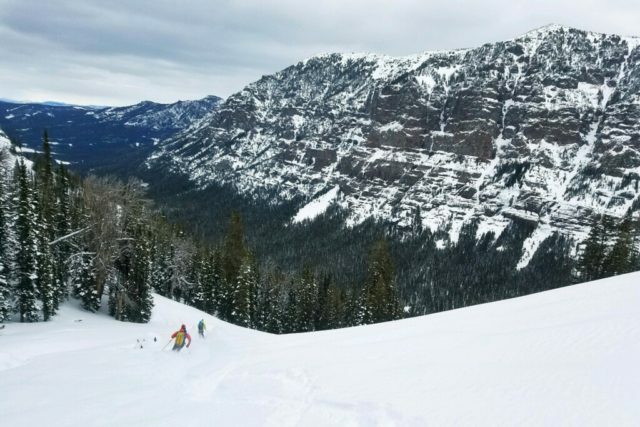 If you need great packability and the best possible warmth-to-weight ratio, then high fill-power down is worth a look, otherwise, you can save some money and go with lower fill-power or synthetics options. While the North Face advertises the Morph Vest as weather resistant, I don’t think vests are good choices for bad weather by nature (something about the large arm holes probably…). And while the Morph Vest’s DWR coating does an adequate job of shedding light precip, I certainly wouldn’t wear any vest as a primary outer layer in any sort of sustained precipitation, regardless of intensity. It’s also worth noting that the Morph Vest uses standard, non-DWR-treated down, so if you have it out in heavy precip for extended periods, it will lose its insulative value. While “active insulation” pieces (e.g., Patagonia Nano-Air line) is the hot new technology, I think there’s always a place for a well-made down insulation piece. While a down layer does not breathe as well as a high-tech “active insulation” piece, down has a couple of major advantages. First, down is almost always warmer for the weight, and high-grade down (such as the 800-fill-power down in the Morph vest) is more compressible than synthetic insulation. When space and weight are at a premium, down is generally a better choice than synthetic. Additionally, my personal experience is that down insulation is more of a “instant-on” than synthetic. What I mean to say is that I find I feel the insulative effect of down sooner after putting on a down garment than I do with a synthetic garment. While the body of the Morph Vest is not as breathable as a piece like the Patagonia Nano-Air or other active insulation pieces, two salient points deserve mentioning. First, breathability isn’t always the first priority for insulative layers. In the case of a down layer, designers and users must accept the tradeoff in breathability for the other advantages that down offers (e.g., high warmth-to-weight ratio). Secondly, the reduction in breathability of a down vest is slightly offset by the fact that it doesn’t have sleeves. 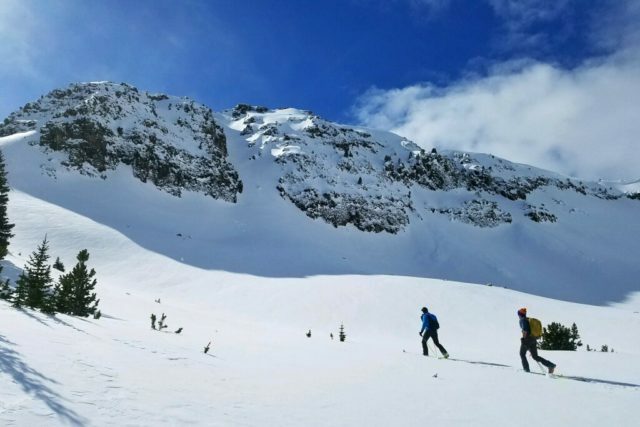 As winter slowly loosened its tight grip on Montana and sunset moved later than 3:30 pm, I started taking the Morph Vest as my primary insulation layer when backcountry skiing, especially on long days where I knew I would move quickly and minimize breaks. The Morph Vest is large enough that I was able to easily layer it over a light base layer and windshirt when transitioning from skinning to skiing to maintain precious body heat. 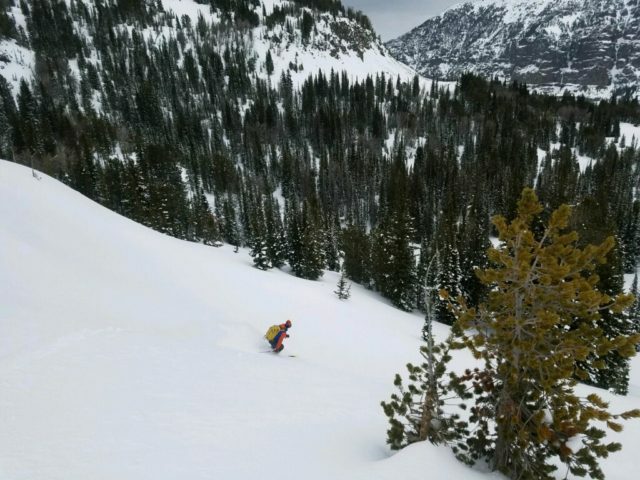 When cinched down using the drawcord at the hem, I was able to narrow the profile of the vest and didn’t feel like it was flapping around my waist or otherwise getting in my way as I ripped skins in exposed terrain or made hop-turns in couloirs. With any lightweight gear, durability is a big concern of mine. 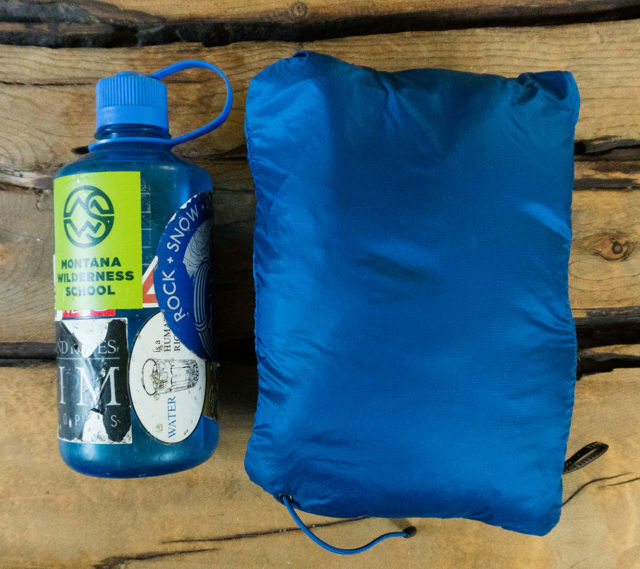 Generally speaking, lightweight gear is often less durable than heavier options. That said, I haven’t had any issues with the Morph Vest, from the fabric to the zippers. Even after wearing it while skiing, including some time shouldering skis, I haven’t noticed any major damage to the fabric. I think The North Face’s use of a large-toothed plastic zipper on the Morph Vest is also a good choice in terms of durability. I’ve seen many small, wire-coil zippers explode after only a short time in the field, and have generally had much better experiences with plastic-toothed zippers. 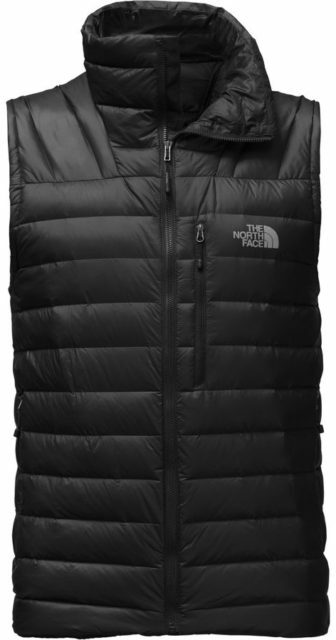 I think a down vest is an underappreciated and underutilized piece of outdoor apparel, and The North Face Morph Vest is a very well executed one. Smaller and lighter than a full puffy, the Morph Vest is suitable for use on high-exertion day trips in the winter and as a stand-alone insulation piece in the summer. I think the Morph Vest is a great value that has so far shown excellent durability and warmth for the weight.